When you step inside a Montessori classroom you find a beautiful, organized space. Items are made from wood and other natural materials and are inviting to the child. 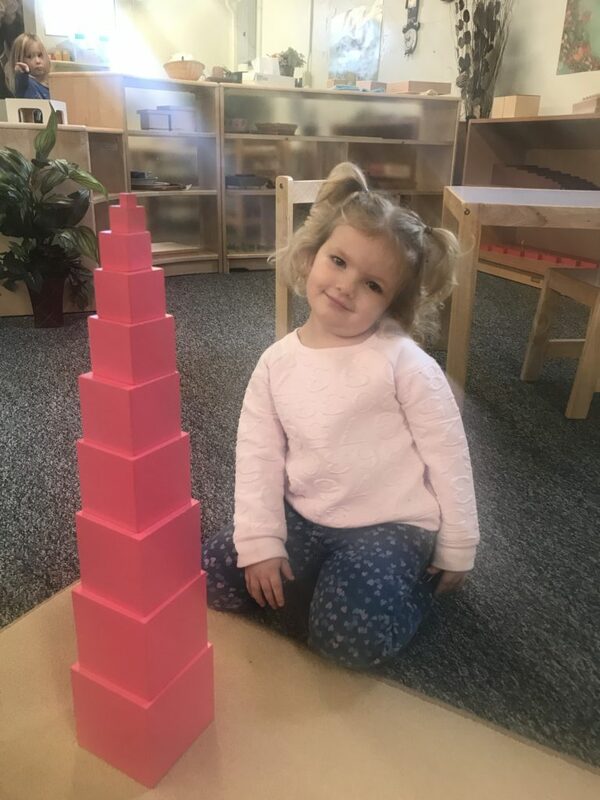 The Pink Tower is a piece found in any traditional Montessori school. 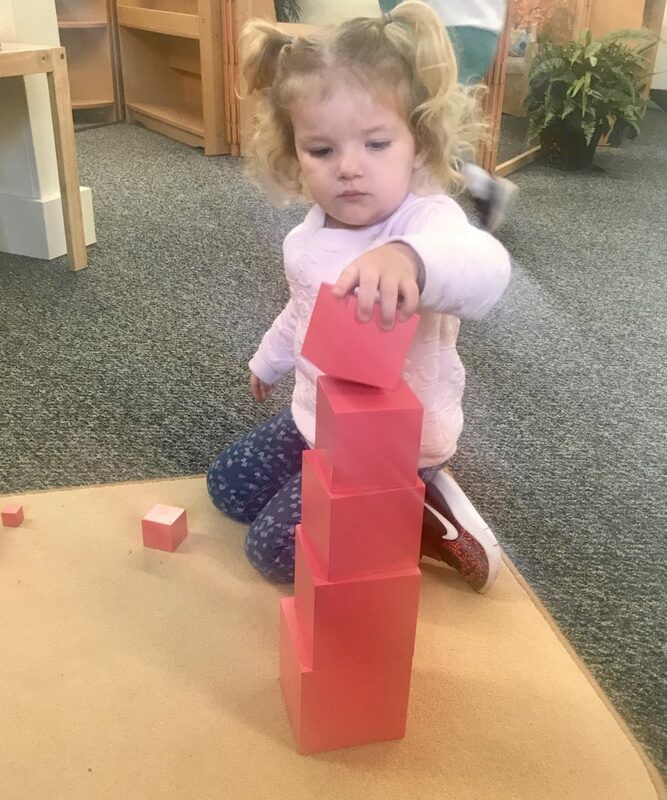 The Pink Tower attracts even the youngest child in the classroom. As with all materials, the children are given a lesson on its proper use. They are invited to choose a rug, which identifies their work space. Then they carefully carry each piece to the rug. Once they have all the pieces they begin to build the Pink Tower, largest to smallest. The smallest piece measures 1 cm cubed up to the largest piece which measures 10 cm cubed. At its most basic the Pink Tower is teaching visual discrimination and coordination. It is self- correcting, as the child can see, if they have transposed a piece the tower will not look right. 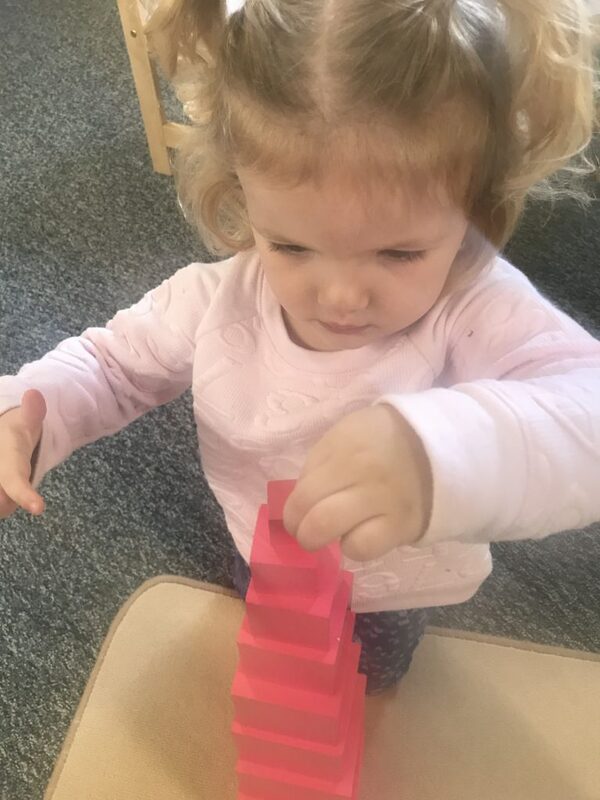 The Pink Tower does more than teach these basic skills, it also sets up the continuation of math concepts including the decimal system and the cubing of numbers. This beautiful piece continues to attract younger and older children as they can find various ways to explore and learn.